We rely on the generosity of our supporters to help carry out the ministry and mission of this special place. 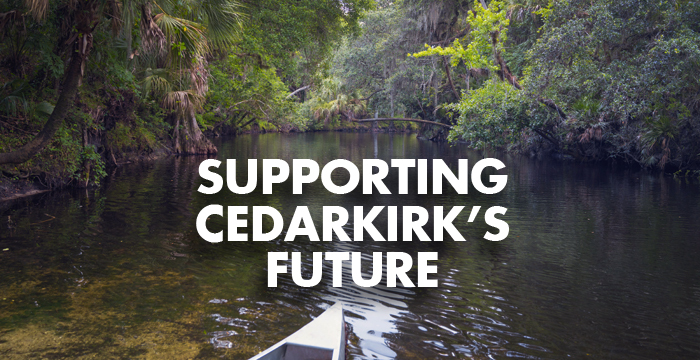 There are two secure and easy ways to make an online donation to Cedarkirk. Click here to donate using an online account. If you are a returning donor, would like to track your donation history, manage pledges or recurring payments, you will need to use your online account. This link will take you to a secure site to login to your account or create a new account. Regardless of how you make your gift, you will be given the option to specify its designation including our capital campaign (including special efforts like the Brown Initiative), summer camp scholarships, the Friends Fund, or our annual fund. We are grateful for your support of Cedarkirk and our continued commitment to be a place apart to build up the body of Christ in love.